The main reason for using spectral analysis of metals is to exactly determine the chemical composition of the material or the consistency of the metallic materials used in the constructions. The spectral analysis method works on an X-ray principle that detects the content of the metal element in the material being tested based on reflected beam analysis. Using this analysis, the chemical content of metals can be determined. 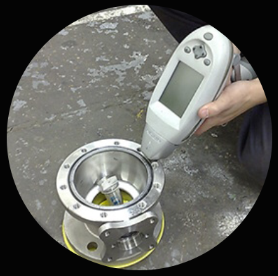 Measurements are carried out by hand-held spectrometers, and the result is immediately available.